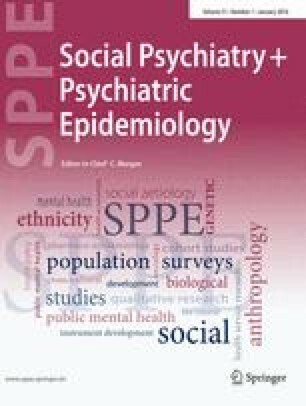 The aim of the present study was to estimate the need for psychiatric consultation services and psychiatric inpatient referral among inpatients of non-psychiatric hospital departments, and to assess the actual utilization of these services. The study was carried out among 728 inpatients of physical rehabilitation wards, medical, surgical, and gynecological wards in Austrian hospitals. Psychiatric case identification was performed by research psychiatrists using the Clinical Interview Schedule (CIS). Diagnoses were given according to DSM-III-R. The assessment of need for consultation and inpatient referral was based on the clinical judgments of research psychiatrists. Overall, 34.2% of the inpatients were cases according to the CIS-criteria, 51.8% of them needing either psychiatric consultation or inpatient referral according to research psychiatrists. In 66.7% of those for whom research psychiatrists had stated a need, this need was not met (“unmet need”), while only 33.3% of them had their need met. In contrast, a psychiatric consultation was performed among 5% of those patients not needing psychiatric services according to the research psychiatrists (“overprovision”). Variables of the health care system (i.e. department type and catchment area of the hospital) were among the predictors for “met needs”. The rate of actual psychiatric consultations and admissions to psychiatric wards was markedly lower than the need according to research psychiatrists’ judgment.